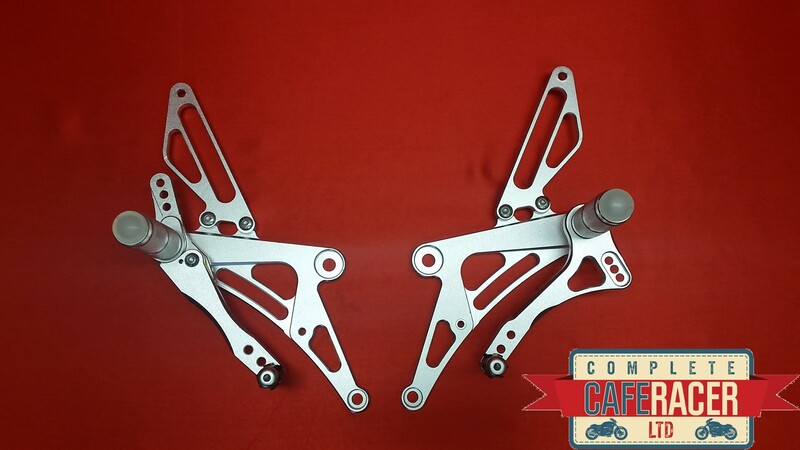 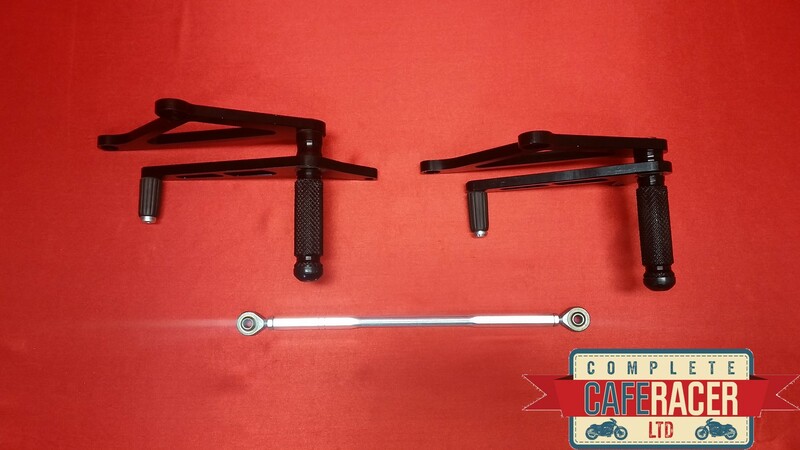 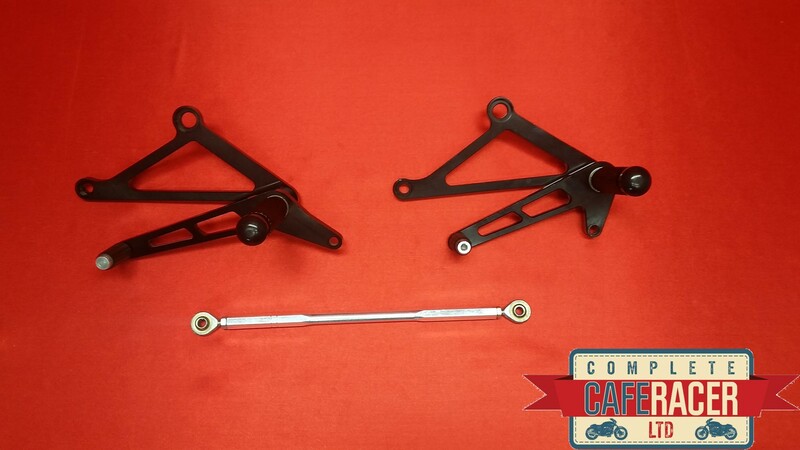 The (A) Cafe Racer Universal Rearsets are finished in black so would look good on any bike! 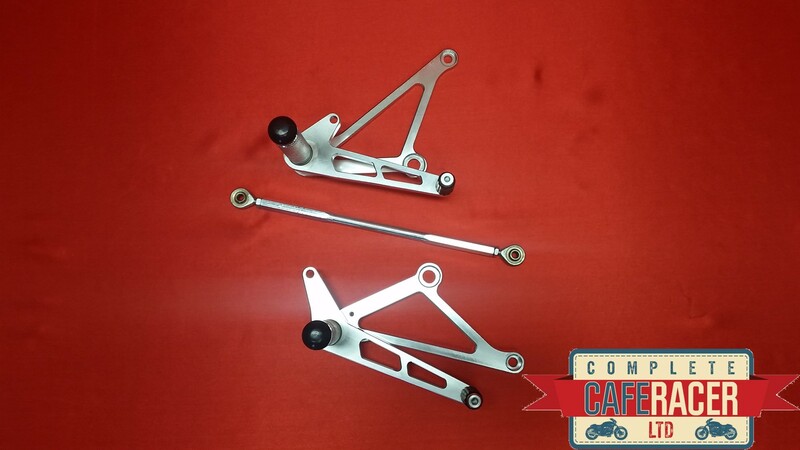 They come with bearings fitted in the levers and rose joints for the linkages. This item will need mounts fitting to the frame to suit the 110mm distance from centre to centre on the mounting holes.